Tomorrow marks the deadline for China’s commitment to close its legal domestic ivory market. The drastic declines in elephant populations in many parts of Africa have been attributed to poaching of elephants to fuel the demand for ivory in China. According to recent censuses carried out in four Central African countries, forest elephant populations alone have declined by approximately 66 per cent in just eight years. For African conservation, we’re delighted to see the doors of the world’s largest ivory market close and look forward to the prospect that it holds for the future of these awe-inspiring giants. This is a significant step that should prove to be a huge boost to elephant protection efforts in Africa. However as the world commends China’s leadership in a region rife with illegal wildlife trade, I can’t help but be reminded of the enormity of the task that lies ahead, both in China and Africa. Recent surveys released by TRAFFIC and WWF found that there is widespread support in China for the ban, however the majority of citizens are still unaware of it. This means for the ban to truly have an effect, it will be critical in the coming months to publicize it and harness that support. The ban also sets the stage for the critical action needed to truly enforce it and stamp out the parallel illegal ivory trade that has co-existed for many years with the legal trade. 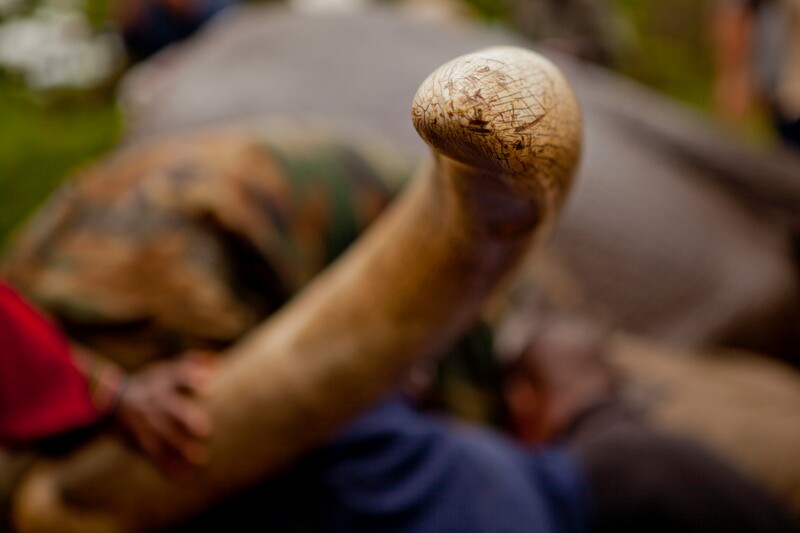 In Africa, our efforts to stop poaching in its tracks continue in earnest. We recognise that there are no simple solutions for protecting elephants as well as their habitats and the rich biodiversity that they support. As an organization that thinks holistically about conservation, shutting down ivory markets and reducing demand in one part of the world, is just one of the answers — albeit a critical one — in a whole suite of inter-dependent solutions for saving elephants. We must complement the ban and build on its momentum to boost our conservation approach with governments and all interested partners. Culture, economics, attitudes and even climate change all collude to increase risks to elephant populations, and each of these challenges must be addressed systematically. We draw inspiration from solutions that have worked in wildlife protection in other parts of the world such as the successful implementation of the zero poaching framework in Nepal. By forging sustainable partnerships, we can tailor and maximize these solutions to address the challenges posed by illegal wildlife trade and strengthen benefits for the communities that live alongside elephants. The African Union’s illegal wildlife trade strategy clearly provides a coherent roadmap and the direction that African countries can take to effectively complement China’s ivory ban. We welcome innovations, and technologies that keep us one step ahead of poachers and new ways of thinking that are at pace with the constantly changing tactics of the well-resourced international criminal syndicates behind the illegal wildlife trade. We will continue our work in China and in neighbouring countries, engaging and mobilising consumers to support the closure of all markets for ivory and other illegal wildlife products. The entering into effect of this ban is a big win for elephants and those working tirelessly to protect them. Yet the journey is far from over. This is only the beginning of a greater global response to secure a future for elephants in the wild. Today, we celebrate this victory, and draw inspiration from the efforts of all those working to conserve Africa’s magnificent wildlife.